Oscar loves children and, just one year old, has a lot of puppy in him. He’d love for you to visit him and his pals at the Champaign County Animal Welfare League. Champ, 2, is a German Shorthair Pointer and a new resident at Barely Used Pets. Pay him a call and maybe find a new housemate. Three-year-old Sawyer arrived at PAWS Animal Shelter with some trust issues, but is doing better, takes treats and walks on a leash. He needs a patient pal who will give him time to get acquainted. Cuddly Mary loves to play with toys, people and other cats. Drop by to play with her at PAWS Animal Shelter. 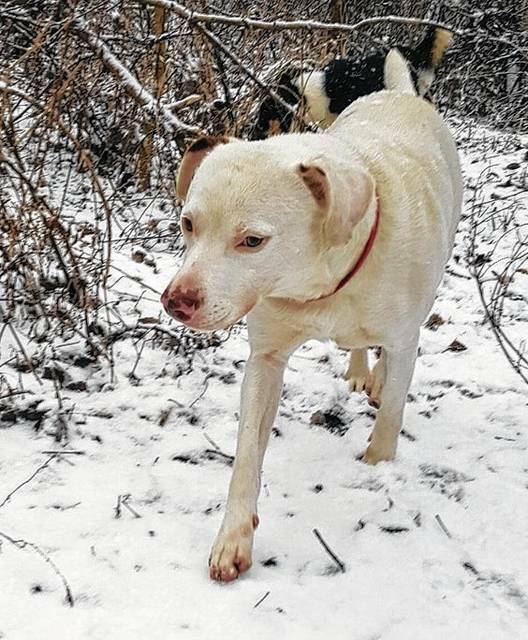 Please meet Oscar, the Champaign County Animal Welfare League’s (CCAWL) selection for Pet of the Week. 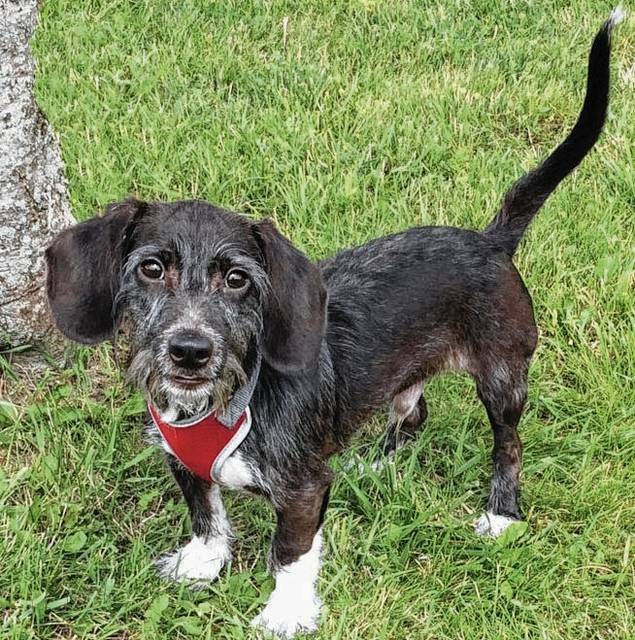 Oscar is a wire-hair Dachshund, and even though he looks like a little old man with whiskers, he just celebrated his one-year birthday last week. Oscar is very treat-motivated and this will help in refining his house-training skills. He is playful and loving but may be startled by loud noises and actions until he gets to know you. Since his arrival at CCAWL, he has come out of his shell and now begs for loving attention. Oscar loves children and is indifferent to cats. Oscar has been neutered, heart worm tested, fully vaccinated, wormed, and treated with heart worm and flea prevention. He is also micro-chipped and comes with his 2017 dog license. If you would like to meet Oscar, please stop by and see him and any of our other residents at 3858 state Route 56, Mechanicsburg, OH 43044. We are open every day except Tuesday and Sunday and we are closed the first Saturday of each month. Please call 937-834-5236 for our daily hours. To see a listing of our adoptable pets, please check out Petfinder.com or Adoptapet.com. If you “like” our Facebook page, you will see our pets as they arrive and before they are ready for adoption. Our adoption fee is $150 cash or check. We require an approved application and this can be found online at www.champaigncoanimalwelfareleague.com or we have them in house. We appreciate your donations of harnesses, leashes, collars, laundry soap, hand soap and dryer sheets. As progress continues with the completion of our new building, we are anticipating our open house later this summer or early fall. Please watch for announcements regarding this exciting event. If you would like to a part of this worthwhile and caring organization, we are always looking for dedicated and dependable volunteers. Volunteer applications may be picked up at our facility. Mary is very sweet girl. She is quite the cuddle bug and loves to be petted. Mary enjoys her toys and does well with other kitties. Mary is current on all her vaccinations and has tested negative for feline leukemia. Please stop in and visit this special kitty. Mary would love for you to come and see her at PAWS. Stop by Paws Animal Shelter, 1535 W. U.S. Route 36, Urbana, Ohio 43078, or call Paws Animal Shelter at 937-653-6233. The Shelter hours are Tuesday-Friday 12-5 p.m., Saturday 12-4 p.m., Sunday and Monday-closed. You can email us at pawsurbana@hotmail.com. Visit us at www.facebook.com/paws.urbana. My name is Sawyer. I am a very handsome white Terrier/Retriever mix boy. I am neutered and I’m about 3 years old. I’ve not had a very good life so far. I was at an out of state shelter and they were running out of room so my time was up. The wonderful people here at PAWS Shelter saw my picture and took me in here. Due to my past experiences in life, which I can’t tell you, I need some time to gain trust in you. Can you be patient with me? I’m very timid and I bark when I meet you. Actually, I’m trying to communicate with you through my barking. The humans here at the shelter say I’m doing better, I think I am too. I take treats nicely, I walk OK on a leash and I don’t jump. Please come and check me out ……see if we can be friends forever. My name is Champ and I am so glad to be here! They called me a “stray” in the other county I came from and the dog warden there saved me from being out on the streets. I am only 2 years old and they say I am a full-blooded German Shorthair Pointer. I say I am so happy to have a place where they give me food and a place to sleep at night. Plus I have so many other dogs to talk to. We all go to bed at night with full bellies and let me tell you…that is a very big deal! No more looking over my shoulder to survive out there. My days of running are over and now it’s time to find my new forever family. Won’t you please come and see me so we can get to know each other? Then maybe you can find a little room in your home and in your heart for me? Tell me you will love me and keep me safe and I promise to be the best boy you ever had if you will just give me a chance. Please let’s go home. https://www.burgtelegram.com/wp-content/uploads/sites/17/2017/07/web1_2017-Oscar.jpgOscar loves children and, just one year old, has a lot of puppy in him. He’d love for you to visit him and his pals at the Champaign County Animal Welfare League. 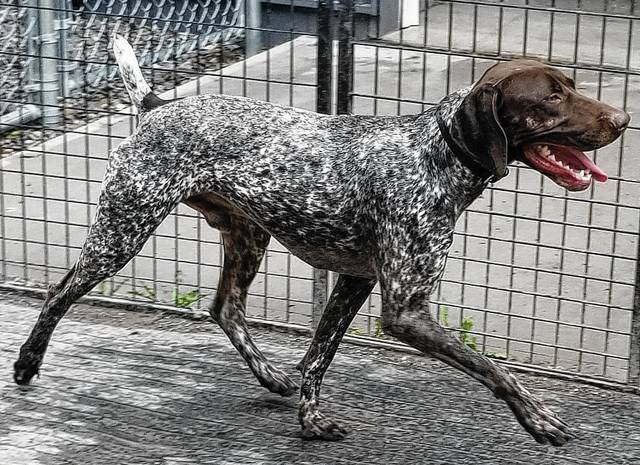 https://www.burgtelegram.com/wp-content/uploads/sites/17/2017/07/web1_Champ.jpegChamp, 2, is a German Shorthair Pointer and a new resident at Barely Used Pets. Pay him a call and maybe find a new housemate. https://www.burgtelegram.com/wp-content/uploads/sites/17/2017/07/web1_IMG_8949.jpgThree-year-old Sawyer arrived at PAWS Animal Shelter with some trust issues, but is doing better, takes treats and walks on a leash. He needs a patient pal who will give him time to get acquainted. 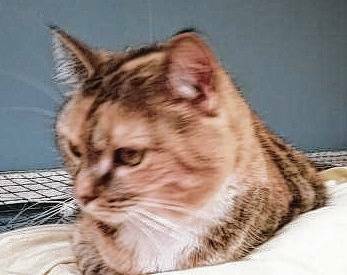 https://www.burgtelegram.com/wp-content/uploads/sites/17/2017/07/web1_IMG_9999.jpgCuddly Mary loves to play with toys, people and other cats. Drop by to play with her at PAWS Animal Shelter. Information submitted by Champaign County shelters and rescues.